Does an ice-cold drink send a chill through your jaw? Do some sour or sweet foods make your teeth ache? 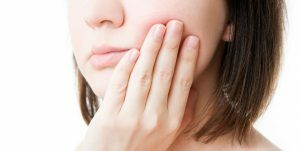 These are classic symptoms of sensitive teeth, and it’s one of the most common complaints that dentists hear. In fact, 1-in-5 adults suffer from sensitive teeth, so you’re not alone. If you’re tired of cringing whenever you eat ice cream or take a sip of hot coffee, you may want to consider treatment for sensitive teeth. Monrovia patients absolutely love the kind, gentle, and efficient treatment that they get from Dr. Q. With over a decade of experience working with patients throughout the region, Dr. Q has earned her reputation as one of the hardest-working and most respected dentists in the state. She has built her practice by offering supportive and compassionate care. But Dr. Q goes beyond just lip service and actually volunteers her own time to help our community. She works with at-risk youth with the Boys and Girls Club and is an on-call emergency dentist for Foothill Unity Center. Call Dr. Q today at (626) 599-9819 to learn more about her practice and why patients keep coming back year after year. The first thing to do is call us at (626) 599-9819 and talk with one of our kind, patient, and highly-trained staff. We would love to talk with you, answer any questions that you might have, and hear about your concerns. From there, the next step is to schedule a preliminary appointment with Dr. Q in the Monrovia area. During this initial meeting, Dr. Q will learn more about your condition and find out about your medical history and if you’re taking any medications right now. After that, Dr. Q will perform an examination of your teeth and gums. She may even take some X-ray imaging to get a better idea of how healthy your mouth is. Finally, Dr. Q will create a treatment plan for you that addresses all of your concerns and will guide her, so you get the best possible outcome. Throughout this entire meeting, Dr. Q will ensure that you understand everything that’s going on and that you’re completely comfortable with your treatment for sensitive teeth. Monrovia patients should give us a call immediately when they first notice signs of their sensitive teeth. Healthy teeth are covered by a protective layer called enamel. This substance, enamel, is one of the hardest and most durable substances that your body creates. Still, over time, your enamel can start to wear away–which is especially true if you have cavities. Whether it’s from cavities eating away at the enamel or your gums receding or deteriorating, sensitive teeth are caused by the root of your teeth becoming exposed. When the roots are exposed, they have no protection against foods and beverages that enter your mouth. So when you eat something sweet or cold, the root of your teeth and the nerve endings react immediately. When it comes to treatment for sensitive teeth, Monrovia patients will need to talk with Dr. Q about what she recommends for their particular case. There are a few different potential causes for sensitive teeth. Foods and drinks – Acidic foods and beverages, over time, can wear down the enamel on your teeth and expose the roots. Brushing – If you brush too hard on your teeth, it can cause the gums to separate from the teeth and expose the roots. Bad hygiene – Poor oral hygiene can allow bacteria to build up on your teeth that will eat away at the enamel. Gingivitis, cracked teeth, and cavities can all cause sensitivity to hot, cold, sweet, and sour foods. Monrovia patients have a few different options to treat their sensitive teeth. Good hygiene – Make sure that when you brush your teeth that you brush slowly and gently. Always use a brush with very soft bristles. Use non-acidic mouthwash without alcohol. Brush after every meal – Make sure that you brush your teeth after every meal. This is especially true if you eat lots of foods with acidic ingredients like citrus or vinegar. Go to your dentist – Make sure that you see your dentist twice a year. When you visit Dr. Q, she can recommend some steps to take to combat your sensitive teeth. If you’re tired of flinching whenever you take a sip of a cold beverage, call Dr. Q in the Monrovia area at (626) 599-9819. We would love to get you in for an appointment so you can experience the kindness and gentleness of her approach.